The lesser the admixture, the higher the value of the wheat. Mechanically operated apparatuses (e.g. Granotest) have been developed in recent years to ascertain the percentage of impurities. The evaluation is done by a standard method. 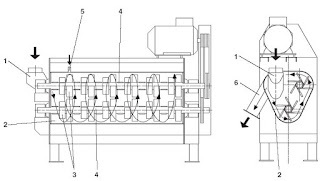 The viewpoints differ greatly as to the significance of these factors to milling. It is in any case an accepted fact that these factors are not always indicitive as to the milling quality of wheat. The hectoliter weight of a first class wheat can e.g. decrease from 81.5 kg to 72.5 k, merely through contamination on with small quantities of powder (sand, dust). The milling quality is not necessarily reduced in this case. Vice versa variations in the test weight due to oily substance are also noticeable. It is generally known that hectorliter weight (HL) is also influenced by moisture content, decreasing by 0.4 kg every percent of water. The HL-weight increases again during drying, but will not attain the original value again, due to permanent deformation of the kernels. Test were made by Bruckner for the purpose of substituting the unreliable test weight by other better systems, but these were not generally acceptable. That is the reason why the test weight system is still used today as a basis for evaluation. A high test weight is always a certain recommendation for the corresponding wheat. A correlation to the milling value can exist within one and the same type of wheat measured under standardized conditions. Wheats with a vitreous or glassy cross-section are generally preferable. Vitreousness indicates a compact kernel composition, a higher protein and a good semolina structure. Especially important in Durum wheat. Vitreousness can decrease under the influence of moisture and heat, even in the field. The % vitreous kernels is an important factor determining the quality of Durum wheat. Kernels can be partly vitreous and partly mealy. Moisture content has a marked influence on flour yield, apart from its importance in the storage of wheat. Of course the higher the moisture content of wheat, the lower the amount of dry matter in the kernel. Flour can only be produced from the latter. Furthermore, if distributed too evenly in the whole kernel, moisture will cause trouble in the separation of the endosperm from the bran. 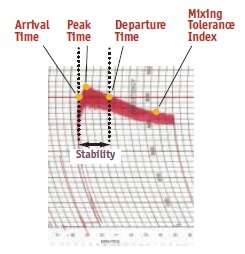 Another point is the control of the most favorable moisture content immediately before milling. No dry matter is lost in this case and this conditioning simplifies milling a great deal. The potential flour content of wheat can be determined fairly exactly by test milling in the BUHLER Automatic Laboratory Mill MLU-202, combined with an analytical test of the flour and the offals. This will be found to vary between 77 and 84% (on a dry matter basis = d.m.) according to kernel development. Lower results are of course obtained with abnormal kernels. This method of evaluation can as a rule be performed with the flour obtained by test milling on the above mentioned Laboratory Mill. 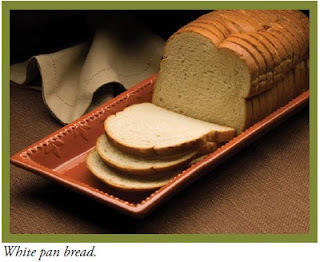 Wheat grains and flour, or doughs are subjected to chemical and physical analysis. The results can additionally be confirmed by a baking test if carried out by a competent baker. A difference is made between rapid methods (e.g. Sendimentation test of Zeleny, gluten washing with the determination of the swelling figure, etc.) and more elaborate methods. It is obvious that the rapid tests can only give an approximate picture of the whole quality complex. This can be valuable in commercial practice though, if carried out exactly as prescribed.